rucriminal.info continues a series of articles about American revelations of Kazakh oligarch Kenes Rakishev. 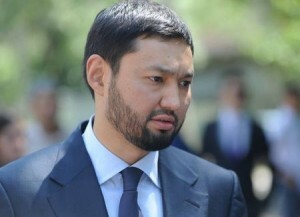 They were voiced by Rakishev in the US court, where the lawsuit of BTA Bank was examined against the former owner of the bank Mukhtar Ablyazov, the former head of the capital of Kazakhstan Viktor Khrapunov and his son Ilyas Khrapunov. At the disposal of rucriminal.info was a transcript of the interrogation of Kenes Rakishev, during which his questions were driven into a dead end. From the fifth publication, readers will be able to find out how during the hearings Rakishev was finally "squeezed into a coer". He is forced to constantly repeat one and the same phrase, which he taught the defenders. But once he gave up and reluctantly admitted that his partner is Vladimir Palihata, who is considered in Russia as a "raider No. 1". Moreover, it tued out that Rakishev even was signed with the agreement with Palihata. Q. Mr. Rakishev, have you ever heard of an asset called Pyshma? R. If I'm not mistaken, it's in Novosibirsk or Yekaterinburg, but I can be wrong. Q. Do you own Pyshma? R. As of today, and as far as I know from the newspapers, the documents that I saw at this time BTA Bank owns Pyshma. Q. BTA Bank is in charge, not you personally, right? Question: Have you ever heard of the company Colton Union Corp.? (phonetically)? R. I can not remember all the companies. Q. Are you the owner of a company called Colton Union Corp.? R. I can tell you that I own BTA Bank, and BTA Bank owns the Pyshma Logistics Park. Q. When did BTA Bank become the owner of Pyshma? R. I do not remember the date for certain, but I believe, most recently. Q: Just recently, a month ago, six months ago? Q. Who owned Pyshma before BTA bought it? R. There were many different companies, I can not remember them all. You can ask lawyers, but I'm sure that at the moment it is a 100% subsidiary of BTA Bank. Q. Do you have a company called JSCSTK Trans? R. I can not confirm, I'm not sure I know all the nazi. I just do not remember about this particular company. Q. Let me ask you, did BTA buy Pyshma in the liquidation process? R. You know, this is a very complex structure, and if we have an hour, we can discuss it right now. If you want to spend your time discussing this, I'm ready. But this has nothing to do with this particular process. I can confirm and assure you that at this time, this is a 100% subsidiary of BTA Bank. Question: Pyshma herd 100 percent of the subsidiary structure of BTA Bank in the case of insolvency in Russia? R. This is what I mean, these questions should be addressed to lawyers. I do not know the legal aspects. Q. I try to avoid the legal subtleties of Russian competition law. Avoiding these subtleties, do you know whether Pyshma was obtained during the liquidation or insolvency case in Russia? MISTER. SCHWARTZ: Objection. He said he does not know the details. He is not here as a representative of BTA Bank. Q. Mr. Rakishev, do you know how much the asset of Pyshma is worth? R. I believe that this issue should be addressed to the auditors, those who appreciated the company. Q. While you are sitting here, so do you have an idea of how much the assets of Pyshma cost? R. I can not tell you, I do not know, I'm not an auditor. The only thing I know that I'm sure of is that Pyshma is a 100% subsidiary of BTA Bank and we have all the supporting documents. Question: How much BTA paid for the asset Pyshma? Q. How do you not even remember the approximate amount? R. I do not remember any details, because I am not a lawyer. strategically speaking, I remember, at this point in time, this is our subsidiary. Q. Does Pyshma bring income? R. I have no information in detail. Pyshma is a wholly-owned subsidiary of BTA Bank. Q. Do you know who Vladimir Palihata is? R. In my opinion, this is a businessman from Russia.Q- Have you ever entered into any agreements with Mr. Palihata? R. I do not remember. I do not remember what I would sign, but I know him, that's for sure. Q. So, you do not remember signing the agreement in July 2015 regarding Pyshma, is this correct? R. I do not remember. Maybe the lawyers of BTA Bank have prepared something like this or I signed it, but I do not remember. Q- Have you ever heard of an asset called Marion Gardens (phonetic)? Question: What is this asset? R. I do not know what he represents now, or what it was before, but I know that at this point in time, this is a 100 percent subsidiary of the bank. Q. Do you know what type of asset this is? R. I can tell you just about. R. This is an asset related to real estate. Q- Where is it located? Q. Do you control this asset? R. This is done by BTA Bank. Question: Have you ever heard about Mercury LLC? R. No. More precisely, I do not remember. I do not remember. Question: Have you ever heard of Petro Cargo Plus? Q. Does this structure have relations with Marion Gardens? R. I know that this is a 100% subsidiary of BTA Bank. Q. When did BTA Bank purchase Cargo Plus? R. I do not remember exactly. You ask me these questions, as if I were an attoey who took part in the formation and processing of all documents on these companies. Q. Have you ever heard of a company called "Legy" LLC (phonetic)? Q. What is this company? R. It is a 100% subsidiary of BTA Bank. Q. Does "Legy", in tu, own the assets of other companies? R. Yes, she owns the assets of other companies. Q. What assets are owned by Legy LLC? R. This is some real estate in the city of Moscow. Q. And your testimony is that personally you Mr. Rakishev, do not own directly any part of Legy, are correct? R. I am the owner through BTA Bank, it is a subsidiary of BTA Bank, and I am the owner of BTA Bank. Q. Do you own BTA Bank and BTA Bank owns Legy LLC? Question: Have you ever heard of a company called Avant Garde Inn? Q. Do you own the company in whole or in part? R. Since I do not remember this company, I can not confirm or disprove it. Question: Have you ever heard of a company called Aldata, ALDATA? R. No, I do not remember. Question: How many companies do you own, Mr. Rakishev? Q. Let me ask a more precise question. How many companies do you own directly? MISTER. SCHWARTZ: In whole or in part? MISTER. Curly: In whole or in part. MISTER. SCHWARTZ: Any company in which it has any shareholdings? R. It's really strange to hear this question, this attitude to this matter. I believe that my lawyers will be able to answer these questions. If you need answers to these questions, please contact my lawyers, and I will not hide anything, and you can get a list of all the structures and companies. Q. I understand that this can save us some time here, Mr. Rakishev. Thank you.